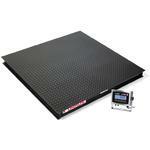 The OHAUS VX Series is a portable low-profile floor scale package. It is the ideal solution for freight consolidators, forwarders, processing plants, resellers, shipping and receiving departments, as well as startup businesses. Quick connects and factory calibration allows the package to operate out-of-the-box with minimal setup. The OHAUS T32XW Economy Indicator replaces the T31XW with the addition of an improved NEMA4X/IP65 washdown all stainless steel housing and a 58-hour internal rechargeable battery. 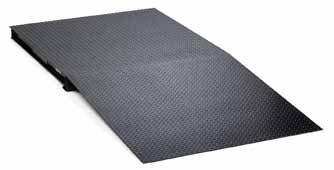 The T32XW also features software for weighing and simple parts counting. Stainless steel mounting bracket included.